The Archive of Affect, presented by NURTUREart, a non-profit exhibition and educational space in Bushwick, Brooklyn, will be a group show of projects from the Fellowship for Utopian Practice that focus on rewriting, challenging or expanding traditional archives and histories. Many of the fellows work to amplify voices that are often silenced, omitted, or erased from contemporary historical narratives. The “affect of archive” is particularly salient in the current hyper-democratic media climate, where it often seems that everyone is writing and sharing their own stories. These projects remind us that there are many voices still unheard and unwritten, and that artists have an important role to play in challenging classical notions of place, history, and personhood. The exhibition will include artifacts, ephemera, and documentation of the artists’ projects, as well as present a series of public performances for time-based and durational projects for audiences to experience live. Featured artists were selected by Culture Push from their Fellowship for Utopian Practice, a testing ground for new ideas that aim to create positive social change through civic engagement and horizontal learning opportunities. 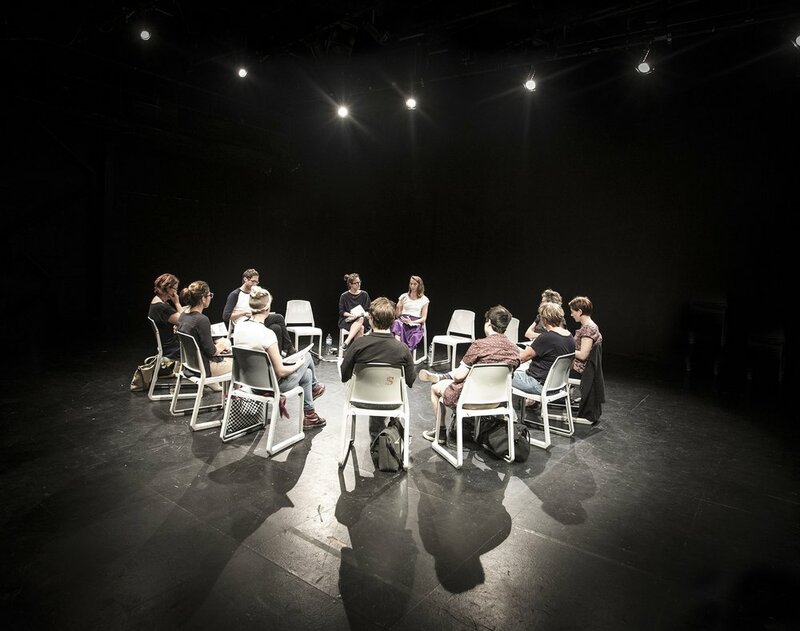 Participating fellows are provided creative, analytical, and logistical tools in the creation of boundary-pushing, interdisciplinary, and socially engaged artwork. Sarah Dahnke presents letters, art, and choreography from incarcerated collaborators in Dances for Solidarity, where correspondents on the ”outside” send a list of simple movements to individuals in solitary confinement, inviting them to perform the dance and add choreography of their own. Dances for Solidarity gives artistic voice to an often invisible community whose movement choices, words and visual art allow us into the deeply corporeal oppression of the prison disciplinary structure. 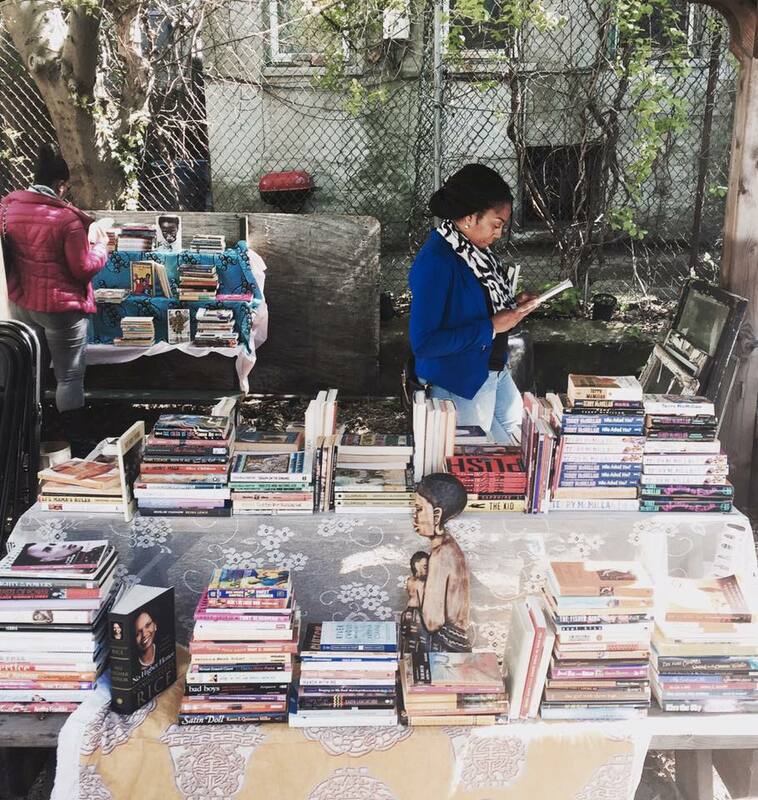 Olaronke Akinmowo will activate the Free Black Women’s Library, a pop-up library containing over 600 books written exclusively by Black women. The library hosts readings, performances, and workshops, and the public is invited to bring books of any genre written by Black women to trade or donate to the library. By focusing exclusively on the literary output of Black women the Free Black Women’s Library expands the literary canon, engaging with writers and readers that are often ignored by mainstream institutions. Liz Linden and Jen Kennedy present a physical exhibition of their online forum which has been an interactive element of their website since 2010. The forum acts as a one-question survey about people’s assumptions about feminism. The accumulation of 6 years of entries creates a living archive of the shape of feminism in contemporary thought. Members of the Worker's Art Coalition, Barrie Cline, Setare Arashloo, Jaime Lopez, Paul Vance, and Eliza Gagnon, are presenting an installation that expands on their project Illuminating History, ethnographic research about the work life of union electricians. The Worker’s Art Coalition is a collective of union workers who come together to explore how art can build and strengthen labor movements. The installation incorporates key aspects of the electrician's craft, such as conduit bending and will be accompanied by visual explorations created by WAC that draw on themes from these worker-to-worker interviews. Lise Brenner presents research from Vox Populi, a project that takes an intimate look at the Dutch Kills neighborhood of Long Island City, an area undergoing drastic change as developers shift the neighborhood from small shops, homes, and light manufacturing to high rise condominiums and upscale retail spaces. Vox Populi refocuses the conversation about the neighborhood, bringing in the voices of those that have lived there for decades and highlighting the locations that these residents deem crucial, and documenting them before they disappear. Chloë Bass shares a participatory engagement from the Department of Local Affairs, a project that crowdsources information from local inhabitants to create an on-the-ground picture of a neighborhood that challenges the neat packaging promoted by developers and tourism bureaus, amplifying the voices of individual community members.Chloë Bass will present documentation and a form of engagement from the , a project that crowdsourced information about specific neighborhoods in order to create a more accurate guidebook of those neighborhoods. The Department of Local Affairs challenges the neat packaging of neighborhoods by tourism bureaus, and instead amplifies the voices of individual community members.